It marks the first crash of an F-35. 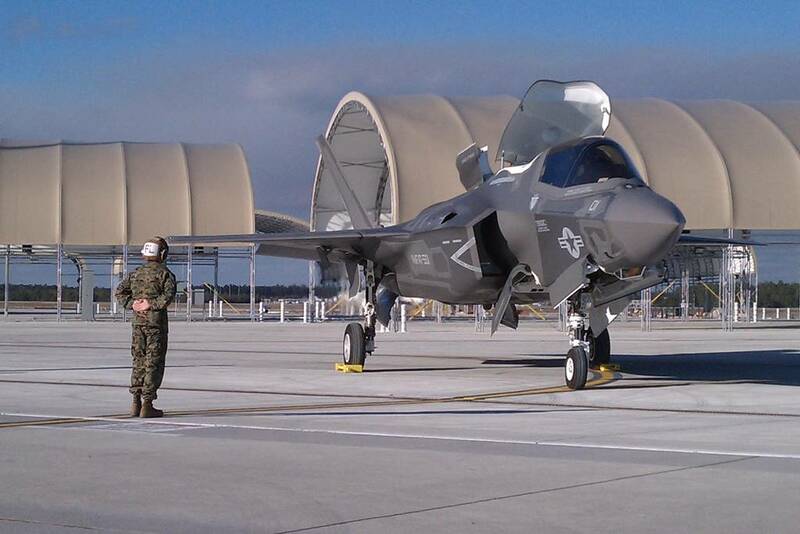 Marine Corps F-35B crashes in South Carolina. Sept. 28, 2018 - A 2nd Marine Aircraft Wing F-35B belonging to Marine Fighter Attack Training Squadron 501 (VMFAT-501) stationed at Marine Corps Air Station Beaufort crashed in the vicinity of Beaufort, South Caroline, at approximately 11.45 a.m. (EST), today. According to USMC Press Release, the U.S. Marine pilot safely ejected from the single-seat aircraft and is currently being evaluated by medical personnel. There were no civilian injuries. 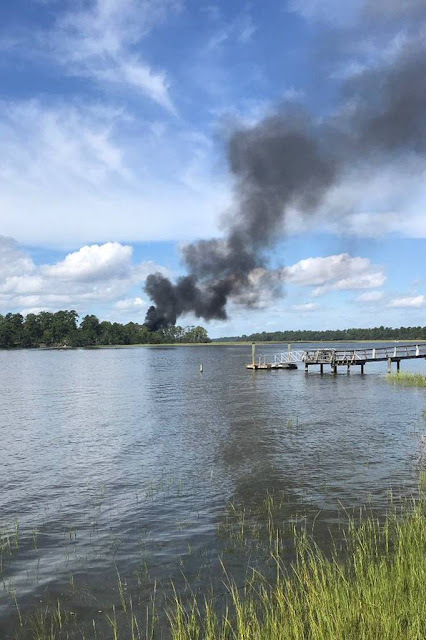 Marines from MCAS Beaufort are working with local authorities currently conducting standard mishap operation to secure the crash site and ensure the safety of all personnel in the surrounding area. This is the first accident that marks the complete destruction of an F-35, but it is not the first mishap that happened to the Beaufort-based squadron with the type. In 2016, an F-35B belonging to VMFAT-501 suffered an in-flight fire, forcing the pilot to make an emergency landing at MCAS Beaufort. The flames were caused by a faulty bracket issue, which was known as a potential hazard by officials overseeing the F-35 programme, and grazed electrical wiring near hydraulic lines. A fire erupted when an electrical short ignited a small hydraulic leak. Marine Corps Air Station Beaufort, home of the Marine Corps' Atlantic Coast fixed-wing, fighter-attack aircraft assets, is located in the heart of the South Carolina Lowcountry and is among the United States military's most important installations. It is home to five Marine Corps F/A- 18 squadrons and one F-35B Fleet Replacement Squadron. Three versions of the F/A-18 Hornet are found aboard MCAS Beaufort, the F/A-18A and C Hornet and the F/A-18D Hornet. The F-35B squadron is also the only location in the world where pilots train to fly the F-35B. The squadron also trains the United Kingdom's future F-35B pilots and maintainers.